The Democratic front-runner shied away, saying the word  noticeably not using the word  has taken on a connotation that describes big government. These are heady days for Democrats. The party is favored by almost all measures in the coming presidential contest. Republicans, by contrast, as unpopular in the polls as they have been for at least 15 years. Nonetheless, the label conservative remains in vogue. In seven Republican debates this year the word conservative was used 100 times. In the seven Democratic debates the word liberal was used four times  not once by a candidate. Conservative is identified with a sensibility, Stanford University linguist Geoffrey Nunberg said. The rejection of the Bush-Cheney policy is very clear. But I dont think the public identifies it with conservatism. You can be as liberal as much as you like, if you are a Democrat, as long as you dont call yourself a liberal, Nunberg quipped. They are running from the word liberal as fast as they can because it has been tainted. Its bleeding-heart liberal, tax-and-spend liberal, liberal elite, liberal media, Lakoff said, who has been a rhetorical consultant for Democrats in the past decade. The Republican debates bear Lakoff out. Most of the 18 uses of liberal in the GOP forums have been in pejorative terms: Liberal media? Check. Tax-and-spend liberal? Check. Of course, there is reason behind the Democratic rhetorical re-branding. In early autumn, the Gallup Poll found that while 43 percent of Americans identified as Democrats, only 23 percent of voters called themselves liberals. While 30 percent of Americans considered themselves Republicans, fully 39 percent labeled themselves conservative. Today seven percent of Americans call themselves very conservative. But none did two decades ago, according to an analysis of Gallup data. Meanwhile, though five percent of Americans today consider themselves very liberal, three times as many did in the summer of 1988. That was when -- Democrat Michael Dukakis challenged Republican George H.W. Bush for the presidency -- Republicans successfully cast liberal in pejorative terms. Many Americans accepted the negative implication. Dukakis became a Massachusetts liberal. Democrats have been fleeing from the word ever since. The two linguists disagree, however, over the implications of dropping the word liberal in favor of progressive. But, he warned, the party will suffer down the road by ceding it to the opposition, calling it a terrible move.... a disastrous move. By not having reconstituted the word liberal over many years, by not defending it, they are forced to give it up, he said. Even if you call yourself a progressive, theyll call you a liberal, as Lakoff put it. Nunberg once agreed. I always thought that Democrats would have to bring back the word liberal, in part because its etched on the split screen of American life, he said. But Nunberg no longer longs for a revival of the word. Democrats have found they can concede the word without conceding the doctrine. During the 2006 midterm elections, Nunberg said, Democrats had no branding at all except not being Republicans. That was enough to win back Congress. In 2008, however, Democrats must define progressive and their party, he said. How are they going to reconstruct themselves? he asked, adding that merely not being Republicans is not going to work this time around. Conservative is identified with a sensibility, Stanford University linguist Geoffrey Nunberg said. If you can't figure out why, you just might be a liberal. 'Liberal' has taken on a connotation that describes big government." Clinton said,I prefer the word progressive,"
Which means really big government! Liberal, progressive, socialist, marxist. It all means the same thing to Hillary. She wants your stuff. Liberalism stands for socialism, nannyism, high taxes and government control. And for breakdown of social order, family, faith and traditional values. Americans know what liberals are and that's why there are so few of them. “Liberalism” cannot compete in the arena of ideas. Every time that it is honestly examined and compared to conservative principals, it will fail. Even “liberals” understand this. This is why they never are honest about what they want to do if given power. And it is why so few “liberal” policies are implemented through any representative process of government - it’s almost exclusively forced on us by oligarchs in robes who “know better”. Towards what is she progressing? Outright socialism? My definition of progressive, when concerning me, is that as of typing this, I don’t own a firearm. I will own one. Being progressive, I’ll own more than one. Why, I might even own one that could kill a rabbit! Just noticed that George Lakoff (rhymes with) was a big contributor to this article. Yeah, George Lakoff who blatantly trains his SS (secular socialist) squads that they cannot debate “progressivism” in the terms of the real world, but must always “frame” the debate in their own terms (ie, in a world where the sky is pink) in order to argue. Have you seen any of the commercials that are setup to look like the Apple/PC guys, except they are “Con” - conservative, vs. “Pro” - progressive? Spin, spin, spin. It is true that she wants to take your liberty away from you. But it is for her notion of the “common good”. Liberals have to lie and hide who they are. They have to do it to remain politically competitive. If they ever began to be honest with the American people about their views, their candidates couldn't be elected dog-catcher. 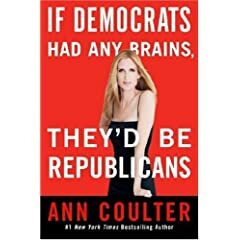 Their success in defining themselves by Republican failure masks their real problem: they cannot be who they really want to be since most Americans are NOT liberals. Period. I believe Hillary recently came out in support of the gas milage achieved by the old Model T Ford (I'm not making this up) and she wants new cars to be just as good as that. So -- Progressives are the people who want our cars to be just like the cars from 1917.
after the Nov. 2008 election. Actually I’m pleased with Hillary calling herself a “progressive”. choice of label wasn’t the swiftest move HILLARY! has made. Its interesting there are MORE conservatives than Republicans. It says that while the American people don't trust the GOP to be a small government party, they have not turned their backs on conservatism. What you’re seeing is that the label always comes to be understood in terms of what it is applied to. If you called a can of beets “banana peels”, it would soon be understood that “banana peels” refers to beets. One real example I can think of is “mincemeat” (apples). wrapped in a label of progressivism. Same can of crap, and everyone understands it. Throughout much of the 20th century the term "progressive" was code for a fellow traveler to the communist cause. Because the MSM commands the language they are now trying to convince us that the term is benign. Go back and read papers from the 30's onward and you will see that progressive was a self described term among leftists, when they really meant communist, but weren't willing to publicly describe themselves as such. We should call these people what they really are, communists, just as they were in much of the 20th century. The people aren’ t “progressive.” They promote “regressive” behavior.